Playing with Papercrafting: Snowfall Thinlits and Brusho Meet! 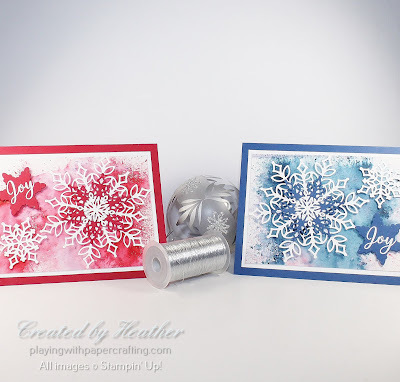 Some of my class attendees were asking for more information on using Brusho Crystal Colour and when I saw the beautiful snowflake dies in the Snowfall Thinlits, I thought it would be a good opportunity to use the Brusho to create a background for them. The great thing about Brusho is that it creates a brilliant watercolour background without actually having to watercolour. You just sprinkle on the crystals and spritz with water. 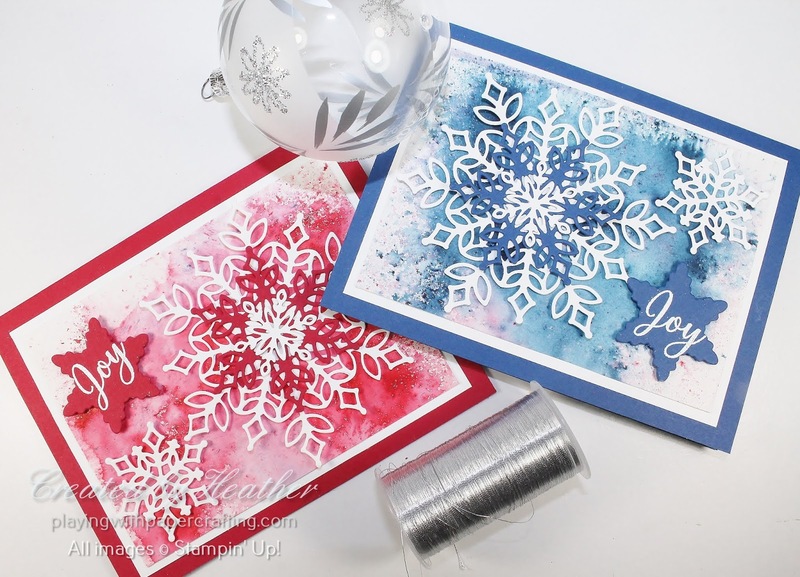 For these two sample, I used the Brilliant Red and the Prussian Blue, which turn out to be pretty good matches for Real Red and Blueberry Bushel. I taped down two pieces of Shimmery White cardstock to a work surface with my Post It Tape. This is to minimize the warping when the paper gets wet. 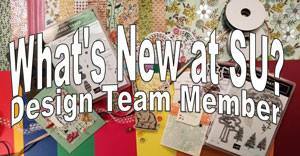 The Shimmery White cardstock can tolerate water without disintegrating like Whisper White would do. You could also use Watercolour Paper. Sprinkle Brilliant Red crystals on one piece and Prussian Blue crystals on the other. Then spritz both papers with water until the crystals are dissolved to the degree you want them. Use a paper towel to siphon up the excess puddles of water and leave the paper to dry or use the Heat Tool to speed up the process. 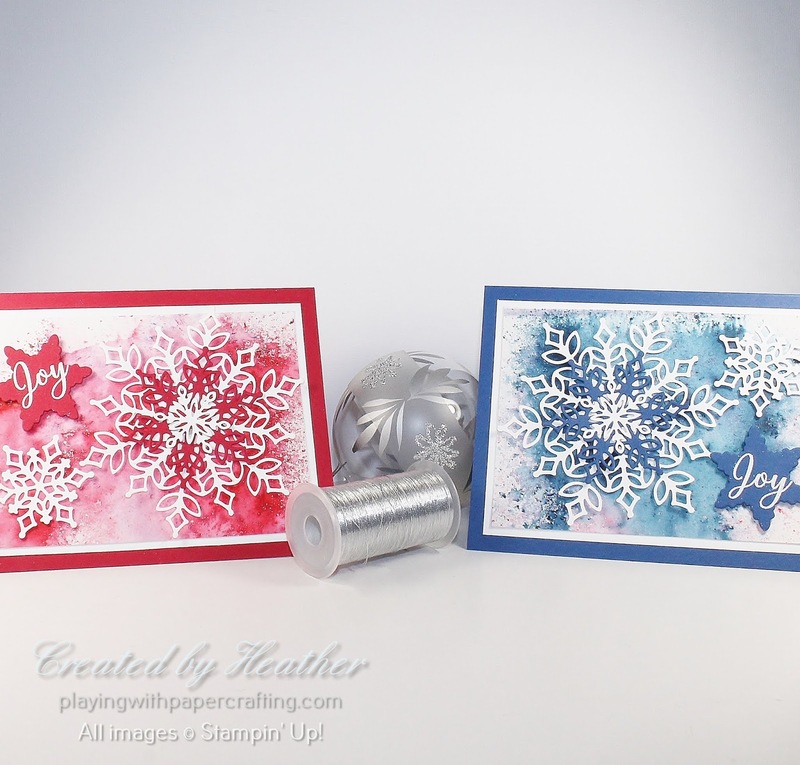 I die cut 4 different sizes of snowflake dies in Whisper White cardstock and both Real Red and Blueberry Bushel cardstocks. 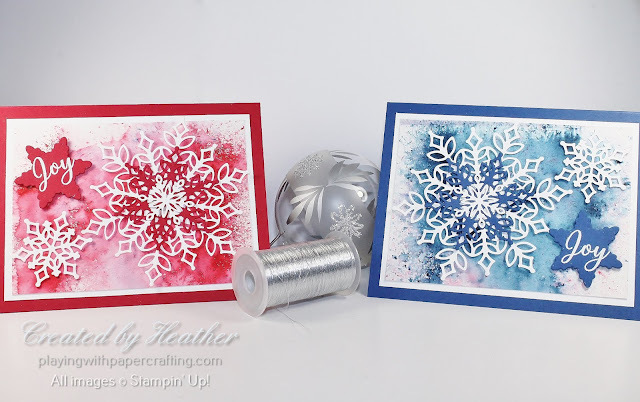 The sentiment from the Snow is Glistening stamp set is stamped on the solid coloured snowflakes in Versamark ink and covered with White Stampin' Emboss Powder, then heat set with the Heat Tool. 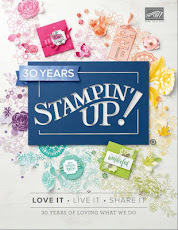 The dies and stamp set are part of an Exclusive Limited Time Offer from Stampin' Up! 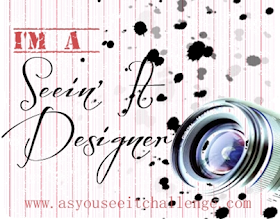 coming up in November. You will have the month of November to purchase what you want from this beautiful suite of products and then they will be gone for good! 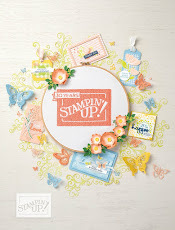 You can get two stamp sets, the die set, White Velveteen paper and some Snowflake embellishments that are low profile for mailing purposes! 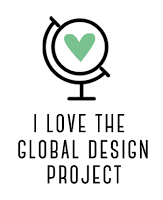 You'll see more samples during the month of October and you can check out my Pinterest Board for more ideas until I can build my collection of samples. You can get your hands on these products November 1st.